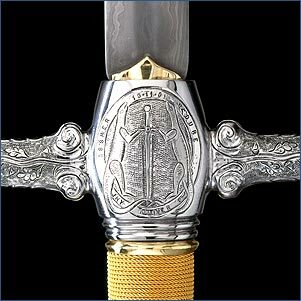 Blade forged from pattern welded steel, with 9-carat gold braid secured on the grip and detailed chasing on the pommel. 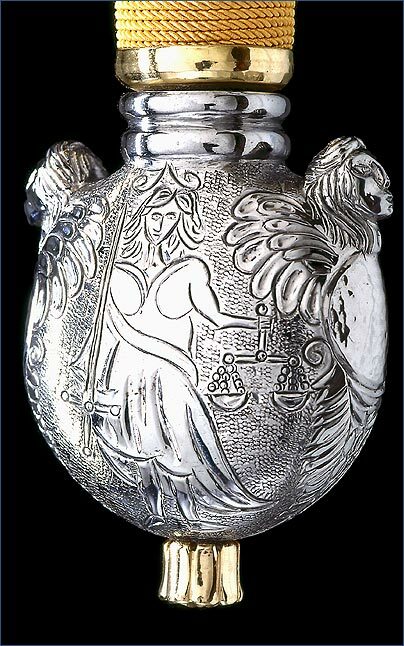 The Sword has very fine hand worked figurine work on the pommel and quillons. Made in steel with a polished finish. Pattern welded steel billet made in the forge and drawn out to form the blade that is over 4ft long. The pommel, hilt and quillons are forged and shaped in one piece from steel.